What makes a leader in sport? Generally, it can be synonymous with mentorship, humility, hard-work and level-headedness both on and off the pitch. 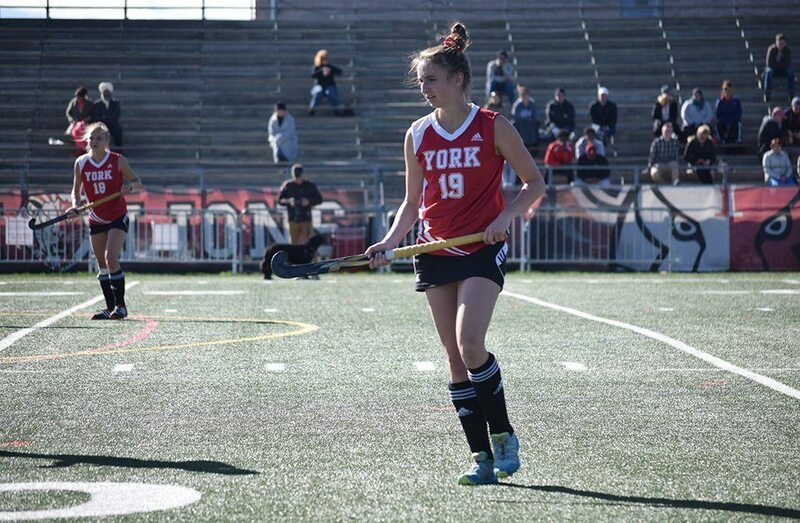 Rebecca Titus, the York Lions women’s field hockey captain, manages to embody that — even with the workload of two academic programs and two varsity teams. On the field, Titus has been captain of York’s women’s field hockey team for the last two seasons. After years of learning the sport from 2016 U SPORTS Coach of Year Zeeshan Minhas — she began her field hockey career as part of his junior development program in high school — the Scarborough, Ont., native was a natural choice for captaincy based on her work ethic and trust amongst the coaching staff. (It was) the way she was developing … her commitment to the team and her drive to be the best player on the team, (She) makes people around her better. Her natural leadership also extends into the community. 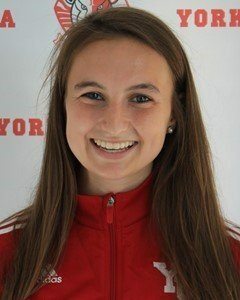 For the last two years, she has been president of the York University sports council, leading the varsity teams in community and campus outreach. This year, she is helping to coordinate an initiative with the Holland Bloorview Kids Rehabilitation Hospital — York athletes visit the hospital to learn about adaptive athletics and adaptive sport. The program, she says, is an immense source of personal pride. I’m really excited for that and I hope it works out very well. And if that wasn’t enough, Titus has a heavy academic workload as well — though perhaps beneficially to her, her academic interests align well with her athletics. As a kinesiology and athletic therapy student, Titus learns athletic therapy both in class and through working with York’s track and field team. “It’s almost like being on two varsity teams at the same time because I’m expected to be at all of the team’s practices, so I’m always at track practice — they practice every day — I have to be at my practices and I also have clinical hours,” she explains. Titus made the switch to kinesiology after first year when the workload in her original program — biomedical science — proved a culture shock compared to high school. With hopes of staying in a medical field, the athletic therapy certificate at York caught her eye. Now, the combination of kinesiology and athletic therapy is her continued passion. From the athletic therapy side, she has even moved up to head student therapist. “Being the head student therapist, she’s there to mentor and help show the way for the first and second-year therapists that are placed with her…You can see her being able to take the reins a little more,” head therapist for York’s track and field team Kevin Montgomery says of Titus’s progress in the program. Through the athletic therapy certificate, she is also planning a medical outreach trip to India for her classmates. Having travelled to Peru last summer on a similar trip, Titus hopes the volunteer journey to India will provide other students the chance to see physiotherapy and medicine from a different perspective. (The trip to Peru) absolutely changed my life and I can’t wait to go back to South America, So, coming back to (athletic therapy), I figured that my colleagues in the program would love an experience like that. At its core, Titus’s role gives her the opportunity to both understand the athletes she trains and convert that knowledge to her own training. 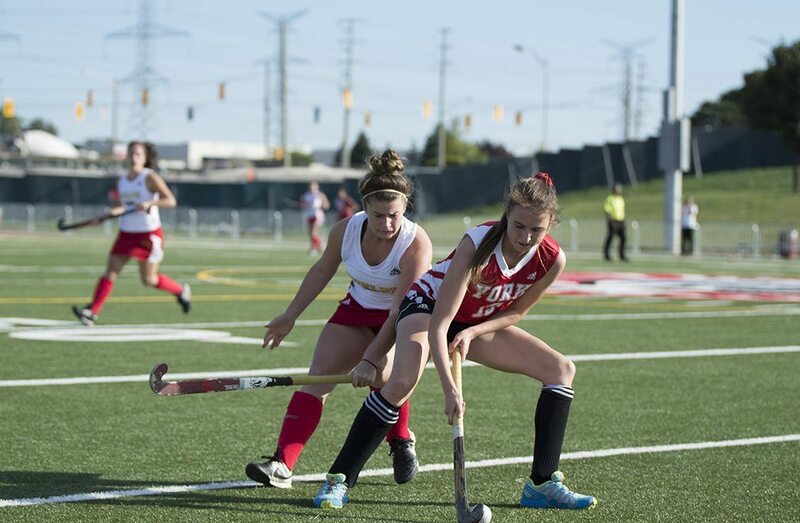 As an athletic therapist, Titus explained that her field hockey experience allows her to empathize with fellow athletes who require treatment for their injuries. On the other hand, her experience as a trainer allows her to input new training regiments in her own team and helps her better understand her own injuries ­– like last season. Heading into her last indoor field hockey season, Titus had to take a step back from the sport to look further into nerve troubles in her shin — issues she continues to face today. Her athletic therapy background kept her calm through the testing and rehabilitation process. “Just…having the background in athletic therapy when they’re talking in ‘Doctor’… when they’re saying all the medical terms, I’m able to understand what’s happening so it’s not so scary,” she says. Back to the team full-time this season, Titus is balancing a precarious load of coursework, clinical hours, therapy with the track team and her own field hockey training. 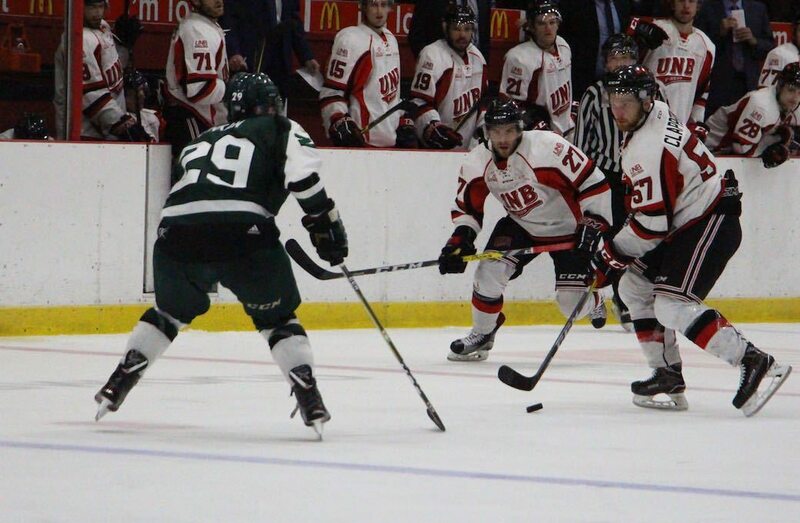 With a pair of home games left in the regular season this weekend, the veteran has led York to a 9-1-0 record and top spot in OUA, putting the Lions in contention to qualify for the U SPORTS Women’s Field Hockey Championship against the UBC Thunderbirds. Hats off to her because she’s actually the one who’s trying to fit everything into her schedule, Yes, sometimes I do have to be lenient if she’s a little late to practice, but she’s been there every day for the last…three years. 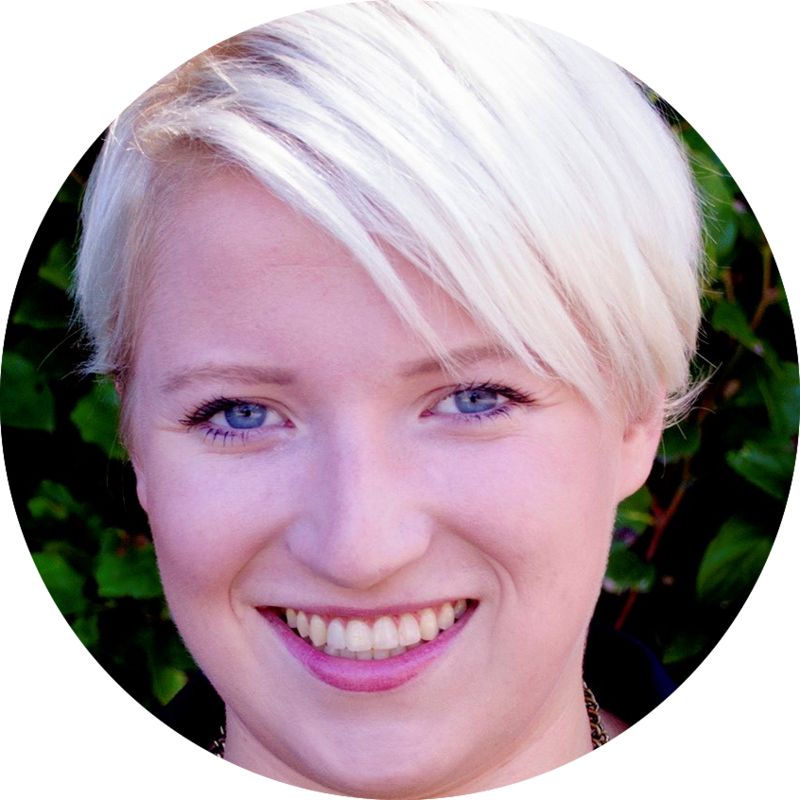 L ucy is a fifth-year student in the Bachelor of Media Studies program at the University of British Columbia. Previously, she was a communications intern with the Vancouver Whitecaps and the social media lead with the Pat Quinn Classic, a local hockey tournament in Vancouver. She has been a staff writer at her campus newspaper The Ubyssey for the last two years and is the sports editor at the newspaper for the 2017-18 academic year.